An emotionally isolated woman comes under the spotlight of an island community when she falls in love with a man who is suspected of a series of brutal murders. 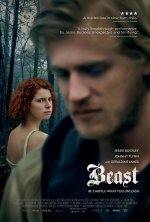 Beast release date was Friday, May 11, 2018. This was a Limited in theaters release.